Stop me if you’ve heard this before: An NHL team signs a Russian player to a ridiculous contract only to buy him out within the next three seasons. 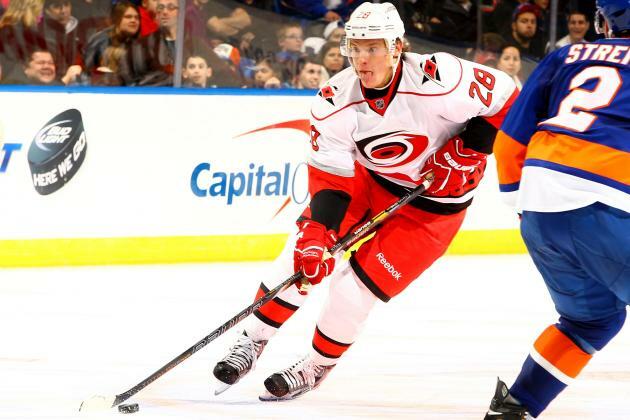 No it’s not a case of deja vu, instead it has officially become a recurring tradition as the Carolina Hurricanes have announced they will buy out Alexander Semin. You might recall the then 29-year-old Krasnoyarsk native signing a 5-year $35 million extension in 2013 which many thought was too much money for a player described as enigmatic by pundits and fans alike. Another day, another Russian being traded during the NHL Draft. Just like day one which saw Mikhail Grigorenko and Nikita Zadorov being dealt in the early moments, day two similarly saw the Carolina Hurricanes deal the Russian no one expected (looking at you Alex Semin) sending goalie Anton Khudobin to the Anaheim Ducks for James Wisniewski. Earlier this week the Russian hockey federation announced it would be replacing Dynamo Moscow winger Sergei Soin with perhaps the biggest snub of any Olympic roster, Carolina’s Alexander Semin. The 29-year-old winger was initially held of the 25-man squad giving way to rumors to a possible personal issue with head coach Zinetula Bilyaletdinov causing his omission. Last night, Alexander Semin became a very rich man after the Carolina Hurricanes gave him a 5-year extension worth $35 million. Compared to most sports contracts this makes Semin a pauper, but since this is a hockey blog it’s big deal. One of the most sought after free agents has finally put pen to paper with a team that few expected. Earlier today the Carolina Hurricanes announced they had signed Alexander Semin to a one-year deal worth a whopping $7 million. While it was clear early on he would not return to the Capitals as they had gave his number away for developmental camp few believed he would remain in the Southeast Divison. “For me, six times was a charm.”…These must be the words, courtesy of My Cousin Vinny, that were replaying in Sergei Samsonov’s head when he got the phone call from Jim Rutherford. It’s been quite the roller coaster ride for the once highly sought after, Samsonov. After his impressive rookie campaign, Samsonov followed up the next two years with consistent numbers, and then exploded onto the scene with 70+ points.